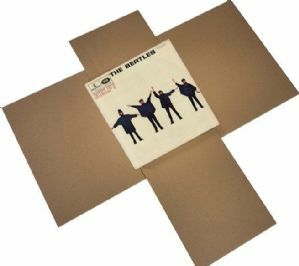 These mailers are perfect for square books, 12" records and other vinyl. 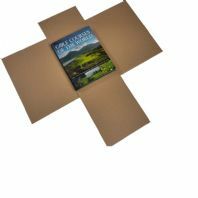 An alternative to a padded envelope the Zetland mailer has proven time and time again a popular item with ebay sellers, printers, mail order shops and book shops all over theUK. We have produced these mailers for over 10 years and have many sizes available. They are produced using recycled cardboard and can be recycled after use. The Design: The mailer can fold perfectly around your item holding it safely for its travel in the post. All mailers come with perforated strips that can be removed to make width fitting. 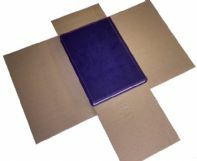 Protection: When folded within a mailer there will be three layers of cardboard on the face and back of the product as well as a crush zone at either end protecting if from drops and knocks. Money Saving: Up to size 2 is capable of sending thinner items at "Large Letter" rate saving money on postage. Providing the total thickness is less than 25mm. To help with this we make mailers in up to three thicknesses of board 1.5mm, 3mm and 4mm.